Home / WordPress Tutorials / Managed WordPress Hosting by Kinsta: Does it Worth the Money? We will review the Kinsta hosting features focused on user experience, usability for customers and quality of WordPress support. Furthermore, we have conducted a stress test on the most resource-intensive theme in our portfolio – Motors, see the incredible results underneath. It’s not so easy to run your WordPress project. You need to keep many things in mind: create useful content, deeply engage in design, marketing and promotion of the site, involve your social media audience and so forth. To successfully develop your blog or other web-project, you need to make sure that the core of the website running smoothly, and your hosting provider does not cause headache and problems. According to W3techs, WordPress is used by 31.4% of all the websites, that is a content management system market share of 59.9%. Good hosting is one of the key success factors of a website. Even if your site is well developed, has unique and useful content, an unreliable hosting can bring all the work to naught. That’s why choosing a right WordPress hosting for your site is one of the most important tasks that should be done first. You must understand how the performance of the hosting will affect the user experience and hence your business. Today, most hosting providers focus on affordable solutions for WordPress – for less than $5 a month you will get shared web hosting services on a server where your site will compete for resources with thousands of WordPress installations. Needless to say such solutions are only suitable if you’re just getting started. For a growing blog or business project, such as an online store or affiliate marketing magazine, it is better to use superior alternatives. And by superior alternatives we mean managed WordPress hosting, that perfectly made to ensure the security of your site and your personal peace of mind. Managed WordPress hosting is an all-on-one solution: all technical aspects of WordPress are managed by a hosting provider. Should You Use a Managed Hosting? Security, loading speed, software and CMS updates, backups, website uptime, SSL certificates and scalability – managed hosting is responsible for everything. Furthermore, top-notch support by WordPress experts is one of the best parts of managed hosting services. Using managed hosting, you can dedicate all our time to your business and creativity with WordPress, not to technical stuff. When you google for a managed WordPress hosting the search results are overcrowded by such heavy marketed brands like WPEngine, SiteGround, Bluehost etc. And heavy marketed hosts are not always the best option. Today we are going to test and review managed WordPress hosting by Kinsta to break the marketing wall and tell you the objective story about one of the most rapid growing WordPress hosting services. The Kinsta start-up was founded by Mark Gavalda in 2013, as a dev guy he used his WP expertise and knowledge to collect the know-hows of creating a reliable and customer friendly hosting company. Kinsta have offices in London, Los Angeles and Budapest. WordPress managed hosting services by Kinsta became available to customers in 2014, and since then Kinsta utilize Google technologies – when creating a site, you can choose one of 17 Google Cloud Platform data centers. Furthermore, Kinsta is powered by Google Cloud’s premium tier global network to ensure your site loads even faster. 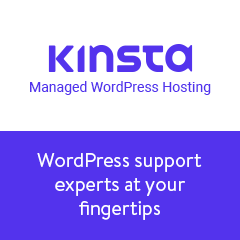 Kinsta is focusing exclusively on WordPress hosting services and it is aim to provide excellent support and resilience WordPress features. Moreover, Kinsta is recommended by Google Cloud as a fully-managed WordPress hosting solution. Every plan at Kinsta includes resource isolation, auto-scaling, and is optimized for high-performance. That’s because Kinsta has come to the industry with features that solve common WordPress issues faced by site owners: slow loading speed, scalability, backups and optimization. All hosting plans come with free CDN, free Let’s Encrypt SSL Certificate, staging environments, automatic daily backups and the option to create manual backup snapshots anytime. To deliver content almost instantaneously to visitors Kinsta use full page caching at the server-side. Kinsta cache plugin providing even more granular control over caching for outstanding performance and loading speed. Moreover, Kinsta caching solutions are 100% compatible with the WP-Rocket caching plugin. And the average response time is 100 milliseconds. Pretty good result, especially taking into account that no optimization has been made on theme or server side, we’ve run the test right out of the box. Furthermore, everything is interconnected over the highly reliable Google Cloud Platform’s premium tier network. This is designed to minimize latency, distance and hops, resulting in faster more secure global transport of your data. Using the premium tier network is principal, since Kinsta is committed to provide the best service possible to the customers. Kinsta utilizes LXD managed hosts and orchestrated LXC software containers for each site. What this means is that every WordPress site is housed in its own isolated container, which has all of the software resources required to run it (Linux, Nginx, PHP, MySQL). MySQL databases are hosted at localhost, not a remote server. This ensures that there is no latency between machines, which results in faster queries and quicker page load times. The resources are 100% private and are not shared between anyone else. That means no overselling that is huge problem on low-cost shared hosting or VPS. On a shared hosting hacking a single website may affect all hosts on the same physical server. With LXD, this will never happen. Nginx is one of the most popular, powerful and incredibly fast open source web servers. While Apache is more popular in general, however Nginx is much more popular among sites with high traffic. Google, Microsoft, Netflix, Facebook, Twitter, Apple and many more Fortune 500 companies use Nginx as a web server. All-in-all, Nginx hold 23 percent share of the top million business websites. Kinsta uses Nginx to create a robust infrastructure for high traffic sites. It also offers a premium DNS service that will make your site faster and safer. This helps your site to withstand DDOS attacks. Kinsta using the latest supported PHP version to ensure highest performance and scalability. That’s because with the release of PHP 7.0 (and 7.2) came huge performance gains! So big in fact, that it should be a priority over a lot of the small optimizations you might playing around with on your WordPress site. The above benchmarks demonstrate significant performance improvements with PHP 7 over its previous iterations. PHP 7 allows the system to execute twice as many requests per second in comparison with the PHP 5.6, at almost half of the latency. Furthermore, PHP 7.2 could execute almost three times as many transactions (requests) per second as compared to PHP 5.6. Your site is monitored and secured 24/7. Kinsta monitor your sites every minute for uptime, detect malware and DDoS attacks as they happen and proactively stop malicious code execution. Furthermore, Kinsta offer free hack fix. If a client’s website is hacked, Kinsta support will fix it with immediate priority. Moreover, automatic backups are taken on a daily basis, meaning a hacked or defaced website can be instantly rolled back from a hosting dashboard. To increase speed, Kinsta allows you to select any of the 17 data centers in the Google Cloud Platform’s multi-regional deployment mode. Choose a data center that is close to your audience, thereby increasing the loading speed of your website target audience. You can choose a different data center for each of your WordPress sites to be closer to the target audience in the USA, Europe, Asia-Pacific, or South America. Content Delivery Network (CDN) will speed up delivery of your static assets (images, JS, CSS). Free KeyCDN bandwidth available with every Kinsta plan. Kinsta loves developers! SSH and WP-CLI access for developer are offer on business and higher plans. The command line gives you more control than you can get with the GUI. In addition to SSH, you can use dev tools like Github. Kinsta also supports a secure connection to database stored in the Google Clouds. This means that developers can use HeidiSQL and Sequel Pro on this platform. You can use WP-CLI to manage of your site through the command line. For example, you can perform operations such as theme and plugins updates. To ensure greater security for your site, you can use Github. When you receive a freelance developer on your website, he does not need to access your server’s data, as this is risky. You can give your developer access to your Github repository. This means that developers can access the code and work on it with no access to the live project. Kinsta is not the most popular managed WordPress hosting, there are other big players in the industry. But what Kinsta has done is simple. They created a flexible and fair price strategy making their service affordable to most of bloggers, entrepreneurs and WordPress enthusiasts, such as you and me. All Kinsta Plans are based on visits, and the data is measured by the total monthly unique visitors (IPs) to your site on the server. Pans start from $30 / month for 3 GB disk space, Free 50GB CDN, and 20,000 visits. On business plan and higher every 1000 visitors can cost less than $1. There is the special deal on yearly billing – you get two months for free if you pay for a year. Furthermore, a 30-day money back guaranteed on all plans. How Fast is Kinsta Hosting? Loading speed is the biggest concern when you select a hosting. Faster loading speed makes your visitors happy. Furthermore, starting in July 2018 Google rolled out the Speed Update: Page speed has become a ranking factor in mobile search. That makes website loading speed crucial factor to your business grow. We have installed Motors theme on Kinsta server with a business plan 1 to test hosting performance on a project with high resource demand. You can see GTMetrix results, with no extra optimization on server side or theme code it fully loads in less than 3 seconds. As you can see, the site is loading in a matter of seconds! It just flares up. Common web hosts cannot provide such a lightning speed, especially on highly load and resource-demanding websites! How to achieve such a great speed? The answer is simple. Kinsta using server-side caching. This means that you do not need to waste time on setting-up external caching plugins. As soon as you get that convenient trick, you will never want to use another host. Website installation is usually considered as something complicated. With MyKinsta Admin dashboard setup an entirely new website from scratch takes only few minutes. Use Kinsta DNS and CDN to make sure that the connection to your site is always secure and content delivered to your clients as fast as possible. The Kinsta content delivery network is the best way to speed up your website. Just turn it on in the panel, there is free bandwidth for all plans. Five simple steps – and you have your website up and running on Kinsta! But that’s not the end for all the advantages! Kinsta has several brilliant features that are extremely important. Bulk edit files with Search and Replace tool. You can easily update and manage all the plugins of your site in the admin panel of the Kinsta website. This is useful if you simultaneously run several websites. And last but not least, Kinsta’s staging environment open endless opportunities for developers. With this feature you can do the experiments with no risk to live website. As you can see, MyKinsta dashboard is clear, user-friendly and human-oriented, that makes it perfect solution even for those who has the first time sitting behind a computer. Kinsta is committed to provide 24×7 professional and swift support. There is no tier 1 or 2 in support system. All support agents are WordPress developers and Linux hosting engineers. That means your problem will be solved directly by support specialist, with no annoying redirections. Therefore, even if you break your site in the middle of the night, there will be one nearby who will help you to restore the site. The guys also have more experience in scaling and performance issues than any other hosting on the market. Conclusion – Should You Switch to Kinsta? If you are looking for a managed WordPress hosting, it is clear that you run important website or develop a business project, for that a shared hosting is not enough. You are at the stage when your website absolutely must perform as well as possible and handle all requests with outstanding performance. And you are ready to pay for such superb service, that’s why managed WordPress hosting is different world from shared hosting. However, Kinta offer fair and affordable pricing plans, that paired with smooth scalability, amazing support and exceptional features, so you can spend less time worrying about your website and more time growing your business. You can your almost all the plugins that you once wanted but could not because this had a negative effect on your website performance and loading speed. Now all features are available and only the sky’s the limit! If your WordPress site requires a first-class infrastructure, if you want the very best, your budget allows it, do not think twice – bring your business on a new level with Kinsta! Are you already a Kinsta customer? Tell us your experience with it! Do you have a question about Kinsta services that not covered in this review? Do not hesitate to ask in the comments!